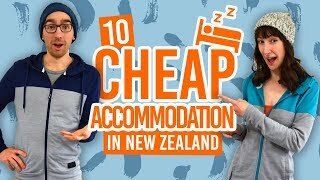 Apart from BackpackerGuide.NZ, where we’ve tried to do a good job on giving you all there is to know about backpacking in New Zealand, there just might be some other websites worth knowing about for travelling, working and living in New Zealand. 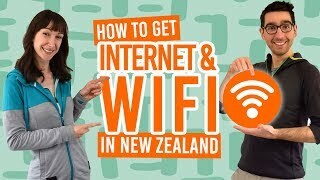 So what are the useful websites for a working holiday or backpacking in New Zealand? Boring legal note: we do not endorse the point of views expressed in any of these websites’ articles. This list is merely to help you guys out. For helpful tips, check out our 10 Essential New Zealand Travel Tips. Ok, we might be a little biased by putting our website at the top. BackpackerGuide.NZ is the ultimate resource for backpacking in New Zealand. If you don’t know where to begin, then we suggest starting with our 30 Tips for Backpacking in New Zealand. Here are the links: Our Facebook, our Twitter and our YouTube Channel. Some real handy resources for understanding the working holiday visa in New Zealand. They have a free eligibility test, application guide and up-to-date quota reports. Find a flat, buy a car, or apply for a job. You will use this website for your working holiday needs. The official website of Tourism New Zealand. A very simple step by step guide to plan your working holiday adventure in New Zealand easily. The website of the Department of Conservation (DoC), for walking tracks, national parks and conservation related information. See our article to learn more about who DoC are. The best portal to get started with the best hikes of your life. Learn about the Great Walks of New Zealand here. The New Zealand Herald is New Zealand’s most trusted newspaper. Find a business or a person in New Zealand. New Zealand’s leading news website. 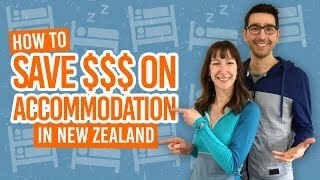 Don’t know where to start your working holiday in New Zealand? Start here. New Zealand Post will take care of all you mail and parcel needs in NZ. Get familiar with your landing airport. The New Zealand Transport Agency website is your best resource for all road, car, and public transport needs. Any event, any place in New Zealand, any time of the year. Find a gig for any night of your gap year in New Zealand on this website. Check out real life stories from people have travelled in New Zealand. Here are the list of blogs we love.